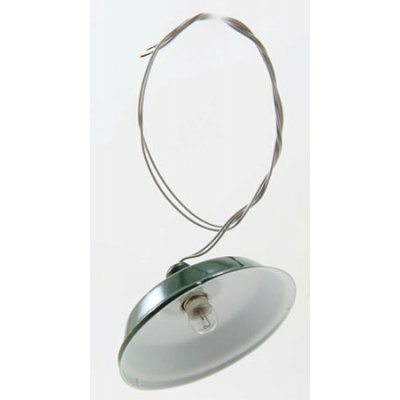 Green Utility Lamp - This miniature Green dollhouse Utility Lamp includes a replaceable 12-volt round screw base bulb for use in a 1/12th scale dollhouse garage, basement, laundry room, shed or service station. This Green utility light is 1-5/8'' in diameter. This Green Utility Lamp - 12V is supplied by Mary's Dollhouse Miniatures, which generally ships within 1 business day(s) of you placing your order .